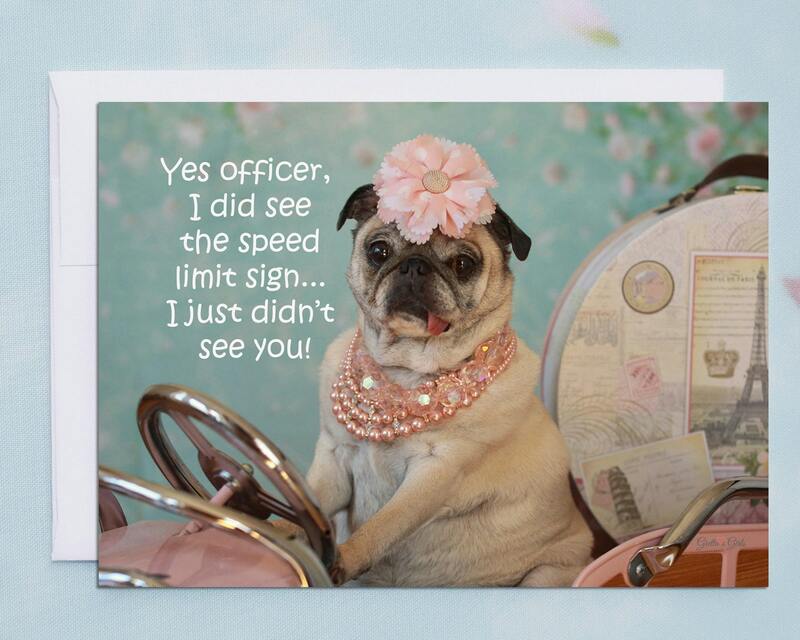 This item is one, "Yes Officer," funny card for friends by Pugs and Kisses and Gretta's Girls. 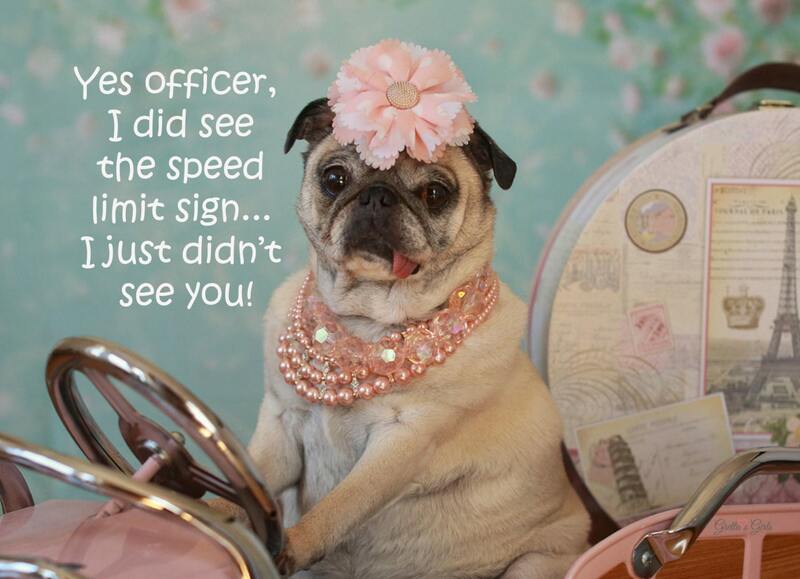 "Yes officer, I did see the speed limit sign... I just didn't see you! " This adorable and humorous card is sure to bring smiles and laughs to your special partner in crime!